When hard-boiled detectives were the kings of the airwaves, Luke Slaughter was a hard-boiled cowboy. "Duel On The Trail (Audition Show)"
"Slaughter's my name, Luke Slaughter, cattle's my business. It's a tough business, and I've got a big steak in it. And there's no man west of the Rio Grande big enouth to take it from me!" Starring Sam Buffington as Luke Slaughter, Civil War cavalryman turned Arizona cattleman. This is an adult western show with a hardboiled cowboy facing murderers, swindlers, cheats, robbers, and more as Luke Slaughter and his sidekick Wichita try to run their cattle. The show is a classic Western radio series with original characters and plotlines. 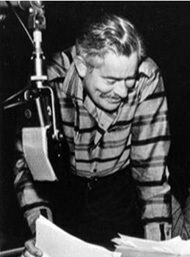 Luke Slaughter was the brainchild of William N. Robson famed producer and director of radio. Robson's credits include Calling All Cars, The Columbia Workshop, Americans All-Immigrants All, Escape, Suspense, and Fort Laramie. 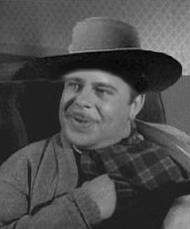 Sam Buffington was only 27 when he took on the role of Luke Slaughter, a portrayal often compared to William Conrad's Matt Dillion onGunsmoke. His sidekick Wichita was performed by Junius Matthews. Luke Slaughter was aired in between other adult Western dramas Frontier Gentleman and Have Gun Will Travel. The show lasted only 16 scripts before Have Gun Will Travel took its timeslot. Be the first to comment on "Luke Slaughter"